The purpose of the Muddy Brook Culvert Replacement project at Kimball & Marshall Avenue is to replace the failing culvert and temporary bridge with a permanent crossing structure; provide solutions / treatments that will improve the water quality of Muddy Brook; provide safe facilities for all users, including vehicles, pedestrians, and cyclists to cross Muddy Brook; and improve bicycle and pedestrian connectivity between Williston and South Burlington. 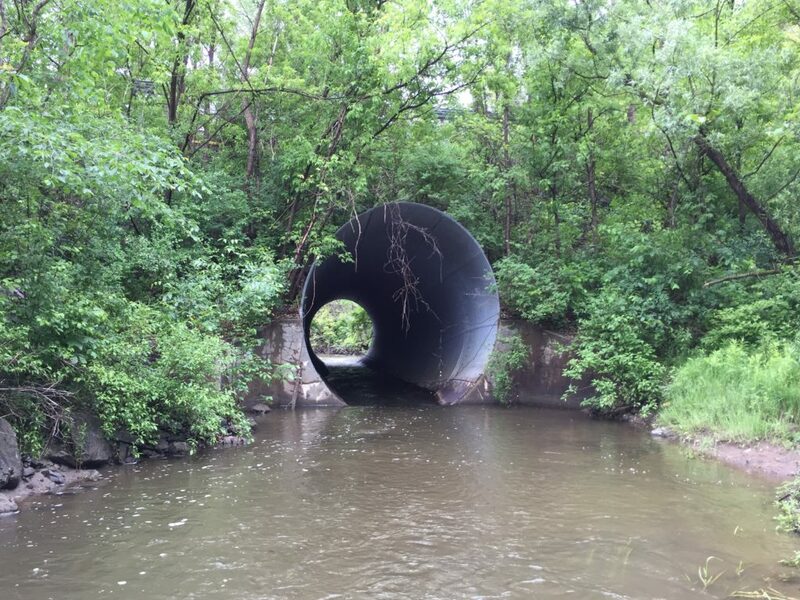 The existing 15’ diameter corrugated metal pipe culvert was originally constructed in 1986. Due to substantial corrosion the pipe failed in the spring of 2017 causing the closure of Kimball/Marshall Avenue at this crossing until a temporary bridge was installed in August 2017. A field investigation confirmed that the existing culvert is severely corroded, has buckled in several locations and the brook partially flows below the pipe bottom. It has been determined that the existing structure is not salvageable, and a complete replacement is necessary for proposed alternatives. The project schedule is dependent on the funding available and associated project development procedures with potential grant programs. The design phase duration is also affected by the permitting and ROW process. The current schedule anticipates the completion of construction by October 2024. The Scoping Study received funding support from the Municipal Highway and Stormwater Grant administered by VTrans. The City is currently applying for additional funding to support the Design Phase of the project.